Words are inadequate for this one. Once in a while you come across a performer of luminescent brilliance. So it is with Myshkin, no longer an urban hillbilly (she's spent the last few years building a house in the wilds of Oregon). She cast a spell with her assured singing and guitar-playing, conferring the intimacy of a living-room to the space downstairs at Bar Centro in central Manchester (actually nice and cosy, with it's wood-panelling and temporary carpet). Myshkin's songs take unconventional forms and contain unconventional chords, and are strange and marvellous beauties. She sings with gradual crescendo and decrescendo, stressing a word or phrase for emphasis, and then trailing away to a whisper, which is even more compelling, because whispers command attention more than shouts. Very few singers follow the cadences of speech so faithfully. Such deep emotions, however, are only expressible in song. We listeners became like Ancient Greeks participating in the mysteries: passively soaking up profundity, until it came time to applaud: almighty whoops were our chief contribution to the unfolding human drama. Emotions were complex, rueful, bitter and proud. Songs may be about an ex-neighbour from New Orleans, rebuilding her house after Katrina only for it to be destroyed over by Rita. There was a version of Billie Holiday's Yesterdays, improved and amplified by Myshkin's own moving lyric in the middle section, and the autobiographical Ruby Warbler, a generous and clear-eyed recollection of stormy youth. The songs were mostly new, and there was nothing from the last (Sigh Semaphore: ageing now, from 2006, and with very short running-time, but everything by Myshkin is indispensable). So the signs are that Myshkin's next album is going to be wonderful. For conviction, sensitivity and truth, this was one for the ages. What, despite Myshkin's head-cold and a PA system that turned her into a grunge artist for the night? Yes and yes. Myshkin is the best. All this talk of Victor Brox is very well, but what about his talented daughter? 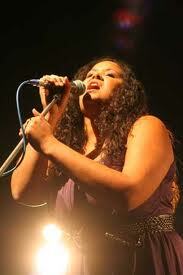 There is probably no more authentic blues and soul singer in the UK than Kyla Brox. Born in Lancashire in 1980, she was given various instruments by her supportive father, which were mostly taken back and sold. The flute remained, however. She joined the family business in 1992, singing with Victor onstage at Band On The Wall, and joining his regular touring group shortly afterwards. The core of the Kyla Brox Band go back to this remarkable unit, laughingly referred to as 'the child slavery band'. As well as Kyla (13, but could pass for 21), it contained bassist Danny Blomeley (13, but unfortunately he went the other way, and could pass for eight), and drummer Phil Considine (19), both Kyla Brox Band mainstays. When Blomeley left to travel the world, he eased the blow with the promise to find Victor some Australian dates. The resultant tour, in 2000, introduced a new audience to the Brox blues brand and Kyla, just turned 20, became a full-fledged soul belle. The band travelled the Stuart Highway, entertaining at mining camps in the outback. On the 2001 return tour, Victor and Kyla circumnavigated the continent by the seaboard route, clocking up 38,000 kilometres. She recorded with her father around this time, mostly lo-fi documents of live shows with minimal packaging, or even unadorned CD burns, cheaply produced to sell at gigs (Victor, prolific but economic, is a discographer's nightmare). The most professional of these is Darwin Night Train, recorded live at Darwin Festival, September 2000, by ABC Radio on the group's maiden Australian tour. 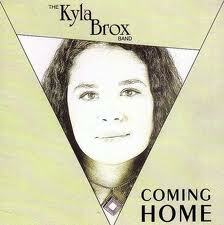 Then, back in Manchester, the nucleus of the child slavery band reformed around Kyla. No more Victor and Kyla, or Kyla Jane and Victor with the Brox Gang, or even Victor 'Pur & Dur' & Kyla 'Raving Jane' Brox (her father was the last to drop her middle name). The soul belle was ready to step out on her own. A succession of albums followed. Solo debut, takes its cue from the lo-fi ethic of Victor's last few albums, gathering home recordings with a smattering of live tracks . The songs are evenly divided between soul/blues standards and originals. Of the former, there are nice, unvarnished accounts of Let's Stay Together and I Can't Stand the Rain. Of the latter, here's the first sighting of Candice, a long-time staple of live shows. A balance is struck between the soulful originals - where the tone is summery, bitter-sweet and romantic, sung with the trembling ardour of a young girl - and songs in the risque blues tradition, sung with the delight of a much older woman. This split more or less characterises Kyla's music to this day. Arrangements are stripped down to Danny Blomeley's adept and sympathetic acoustic guitar, Tony Marshall's tasty sax - he sounds like the missing link between King Curtis and John Coltrane - and, sparingly used, Kyla's delicate flute, at once incongruous and perfect. This is the Kyla who rocks them in the aisles at Colne Blues Festival. Beware finds the singer trying on the mantle of Ann Peebles (Beware, Feel Like Breaking Up Somebody's Home), Etta James (I Just Want to Make Love to You), Gladys Knight/Marvin Gaye (Heard It Through the Grapevine), Sugar Pie Desanto (Soulful Dress), Betty Lavette (Damn Your Eyes) and Nina Simone (Feeling Good). Perhaps because of her unique background - she was undertaking annual tours of Australian mining settlements with bluesman father Victor at the time of recording - she makes a very good fist of it. No one in her twenty-something generation understood the blues quite as well. Her very name, Kyla, sits naturally besides Etta and Betty, and she moves as seamlessly from the lacerating to the ecstatic. In an act of filial piety, she cuts the definitive version of Sick and Tired by Brox Snr, and offers a universal statement of malcontent of her own, Feel My Pain. This realises the promise of Window by adding an extra ingredient: the groove. it's a groove that comes from constant work with an active working band. Saxophonist Tony Marshall and Marshall Gill, a guitarist from the BB King school of searing sweetness, fulfil most of the solo honours. Bassist Danny Blomeley and drummer Phil Considine are veterans of Victor's 'child slavery band'. And what a tight unit they are, personally and musically (groove triumphs over song on Won't Fit There). Twelve out of the 14 selections are Kyla co-writes or originate from within the Brox circle (Victor is responsible for Working On Your Love; incidentally, brother Sam is producer). Coming Home displays an empathetic Kyla, working out the work/life balance (She Knows) or her issues of self-doubt (Things I'd Change, Guilty), but also a tougher Kyla. This means that all the raunch is concentrated in one song, Do I Move You (a smouldering Nina Simone number), which actually intensifies the impact. The other cover, Don't Change Horses, is a real find. Rescued from the back-catalogue of seventies West Coast funksters Tower of Power, the song is a certified show-stopper, mixing real emotion (a plea for a second chance) with outrageous showmanship ("Giddy up, hi ho Silver…"). And, with the Blomeley/Considine rhythm team piling on the coal, it builds up a fine head of steam. If Don't Change Horses represents the zenith of the Kyla Brox Band, then Working On Your Love demonstrates the latent strength of the Kyla Brox Duo, with Kyla and Danny giving an object lesson in how less is more. 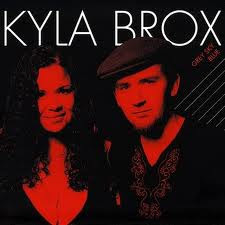 Recorded live in Manchester, UK, on 11 March 2006, this captures the Kyla Brox Band in their prime. The opener, Working On Your Love, demonstrates Kyla's mastery of the soul singer's art. She calibrates the performance perfectly, stoking up the heat by degrees. The band's constant roadwork is reflected in the tightness of the playing. The songs are more lived-in and feel comfortable. Dig the way Danny's supple bass lines twine around Tony Marshall's sax on She Knows, and marvel at how Phil piles on the funky counter-rhythm at the climax of Don't Change Horses. 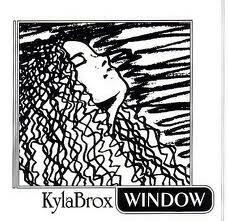 Kyla herself is at her expressive best on Today I Sing the Blues. It's an honest document too. The rough and ready sound, complete with electrical hum and audience noise (oh, the weekend crowd at Matt and Phred's!) actually add authenticity. The rousing spirit makes up for any deficiency in fidelity. First album entire of Brox/Blomeley originals, with the exception of a single Brox credit (more of that later). When guitarist Marshall Gill was recruited by New Model Army, the old band ceased to be. This is Kyla and Danny's record, with band accompaniment on assorted tracks. Kyla was never averse to putting her feelings on show - that is her stock-in-trade as a soul singer - but in euphoric songs like This Is The Life, we're now getting more of the inner life. The depth of experience of the title song, a moving testament to loss, is new, while More Than Me proves how attractively Brox and Blomeley can write in the orthodox soul idiom. The stand-out cut, however, is the a cappella closer, You Said You'd Be My Sunshine, which is Brox sans Blomeley, and written in bitterness about a lover responsible for "five long years, no ring and no change." The singer stirs up a maelstrom of passion that is beyond assuagement. It had the desired result. Shortly after the recording, Danny bought Kyla the ring. Kyla and Danny in a stripped-down duo setting. Goose-pimples are aroused on the first track, All Breaking Down, and then recur with uncommon frequency. Kyla's torchy vocals and Clive Mellor's harmonica on Since I Fell For You, the token blues standard, accentuate the four-in-the-morning feeling. Elsewhere, the spartan, exquisite atmosphere is the pretext for a high level of creativity. Danny's acoustic guitar is by turns gentle and unrestrained, always inventive, whilst Kyla has never sounded more alluring. The blues quota is satisfied with Get Ready and Shaken & Stirred, executed with ripe self-confidence, but songs like Kasbah and Like The Sky link directly back to that gorgeous first acoustic album, Window, but have the patina of experience (and, it must be admitted, superior technical resources). Rest Assured is deeply felt, with a gravity that goes beyond the youthful ardour of Window. Feel My Pain is reprised with fingerpicking urgency. And here's an answer song: "Remember when you said you'd be my sunshine / And I cried / Because I thought it would never be my time / Well I was wrong / You came through / And turned my grey sky blue." Grey Sky Blue (the album) was recorded when Kyla was pregnant with Sadie. It has a valedictory quality, and is simultaneously a summation and a fresh start.